April showers have brought May flowers, and we can now exchange the confines of our indoor spaces for the sunshine and warmth of our backyards, and—even better—our decks. But if yours is looking a little worse for the wear, then Bob Vila and Hyde Tools have just what you need: Enter to win the $3,000 Refresh Your Deck Give-Away for the chance to get your deck spick-and-span for spring. 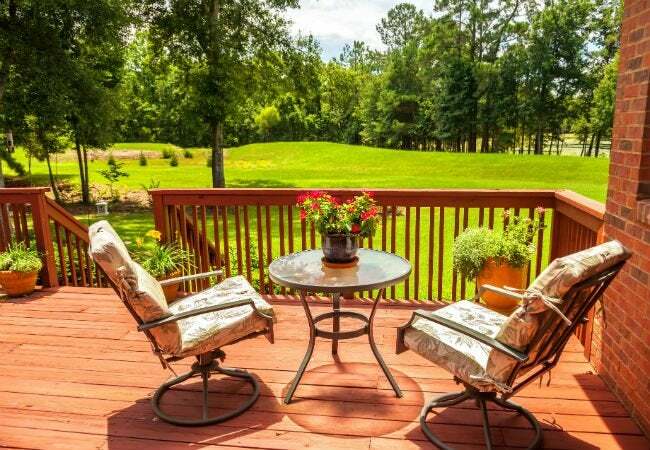 If you’re the winner of this month’s give-away, you’ll score $3,000 to put toward transforming your outdated deck into a relaxing retreat. Spend the prize money on whatever your deck needs, from repairs and contractor services, to a brand-new outdoor dining set. In addition to the $3,000 prize, Hyde Tools is also offering up an assortment of gear to help make your dream deck a reality. Whether you try out the PivotPro Water Wand—which transforms any standard garden hose into a cleaning machine—or another of their multitasking tools, Hyde has what you need to keep a good deck looking great. Don’t waste another minute! Enter today and every day in May for your chance to upgrade a forlorn deck into the gathering hub you’ve always imagined. To learn more about Hyde Tools, click here. 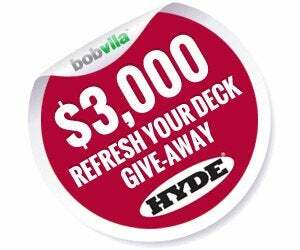 The “Bob Vila’s $3,000 Refresh Your Deck Give-Away with Hyde Tools” is open only to permanent legal U.S. residents of the 50 states and the District of Columbia; residents of Alaska and Hawaii are not eligible. Void in all other geographic locations. No purchase necessary. Void where prohibited. Contest Period runs from 12:00 p.m. (EST) Saturday, April 30th, 2016 and ends at 11:59 a.m. EST on Tuesday, May 31st, 2016 . One entry per household per day on BobVila.com. Alternative means of entry for Drawing is available by faxing your name and address to 508-437-8486 during the applicable Entry Period. Odds of winning depend on the number of eligible entries received. See Official Rules.